The Ragazza™ 1-Meter Sailboat RTR is for beginners and seasoned captains alike. 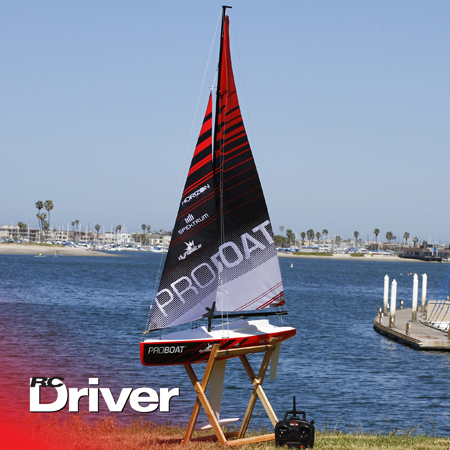 Water-ready in no time and featuring high-end materials such as a Spektrum™ 2.4GHz radio system, plus impressive looks and performance, this sailboat is prepared for competition. Whether you are just getting into radio control sailboats or a seasoned captain looking for an IOM (International One Meter) sport racer, the Ragazza™ sailboat offers the perfect vessel to make your dreams a reality. Rip-resistant nylon sails provide great performance and maximum durability and the resilient fiberglass hull slices through the surf. The Ragazza features great performance on the water and looks fantastic breaking the waves.